Scented teas (also called flower teas) can be either green or white teas that are been infused with certain flowers, which impart a delicate and interesting taste, and of course a wonderful aroma. 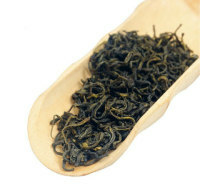 Scented tea is processed from first-class green tea scented with sweet-smelling flowers. The scented teas are named after the flower with which the tea is scented:Jasmine Tea, Yulan Tea (Chloranthus Tea). 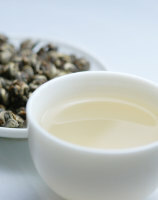 Scented tea is processed from first-class green tea scented with sweet-smelling flowers. The scented teas are named after the flower with which the tea is scented: Jasmine Tea, Yulan Tea (Chloranthus Tea). 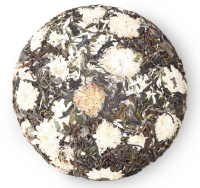 Processed with flowers of subtle and distinctive scents, the teas yield a variety of refined flavor. The rich aroma of the flower and the brisk taste of the tea make the beverage a work of art. great jasmine teas, however, combine only high quality green or white teas with a subtle but distinct jasmine flavor infused into the leaves from freshly-picked jasmine flowers. Scented teas (also called flower teas) can be either green or white teas that are been infused with certain flowers, which impart a delicate and interesting taste, and of course a wonderful aroma. 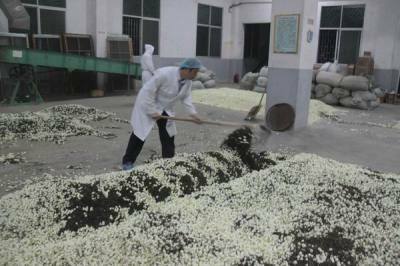 It is produced by combining dried Sweet Osmanthus (Osmanthus fragrans) flowers) with black or green tea leaves .The flowers are spread while oxidizing, and occasionally some are left in the tea as a decoration. This flower gives the tea a mild peach flavor. 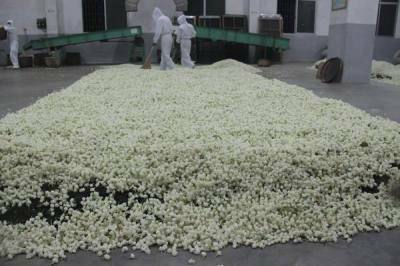 It is the second most popular scented tea (after Jasmine) in China. 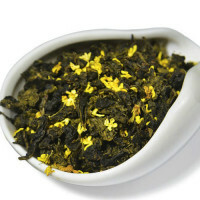 Chloranthus /Zhulan flower tea, is one of the major scented tea varieties in China, is green tea scented with zhulan flowers.It has a strong and durable floral aroma, which lasts long time. Even after brewing a few times, the fine aroma is still intense. Spread with Rose flowers while oxidizing, and occasionally some are left in the tea as a decoration. In China, roses are usually used to scent black tea and the resulting tea is called Rose Congou. The scented teas are named after the flower with which the tea is scented: Jasmine Tea, Yulan Tea (Chloranthus Tea). Processed with flowers of subtle and distinctive scents, the teas yield a variety of refined flavor.